Islamorada, long recognized as one of the world's top spots for sport fishing, encompasses six islands in the Florida Keys. Start off your visit on the 29th (Thu): stop by Bella Sol Fragrance Bar and Gifts, take in the exciting artwork at Old Road Gallery, then identify plant and animal life at Florida Keys Wild Bird Rehabilitation Center, then take a memorable tour with Tours, and finally sample the tasty concoctions at Islamorada Beer Company Brewery and Tasting Room. Get ready for a full day of sightseeing on the next day: get outside with A Lil' Tail Charters and then see some colorful creatures with a scuba or snorkeling tour. Discover how to plan a Islamorada trip in just a few steps with Inspirock's itinerary builder. Oslo, Norway to Islamorada is an approximately 15.5-hour combination of flight and shuttle. You can also do a combination of flight, bus, and shuttle; or do a combination of flight and bus. Due to the time zone difference, you'll gain 6 hours traveling from Oslo to Islamorada. Traveling from Oslo in November, things will get much hotter in Islamorada: highs are around 32°C and lows about 26°C. Finish up your sightseeing early on the 30th (Fri) so you can go by car to Marathon. A tiny city just 16 km (10 mi) long, Marathon is spread across several islands in the middle of the Florida Keys. 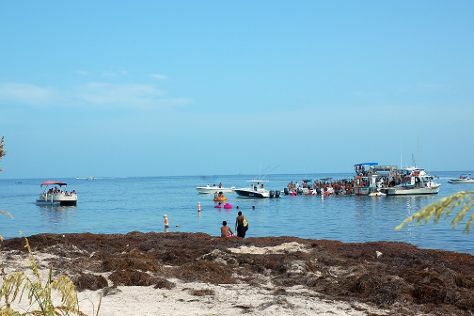 On the 1st (Sat), stroll through Sombrero Beach, identify plant and animal life at The Turtle Hospital, and then cast your line with a fishing tour. On your second day here, identify plant and animal life at Dolphin Research Center, then immerse yourself in nature at Bahia Honda State Park, and then take in the views from Seven Mile Bridge. To find ratings, photos, reviews, and more tourist information, you can read our Marathon vacation planner. Traveling by car from Islamorada to Marathon takes an hour. Alternatively, you can take a bus. In November, daytime highs in Marathon are 32°C, while nighttime lows are 26°C. Wrap up your sightseeing on the 2nd (Sun) early enough to take a bus to Key West. Visiting Dry Tortugas National Park and Waterskiing & Jetskiing will get you outdoors. You'll explore the less-touristy side of things at Fishing Charters & Tours and Key West Lighthouse and Keeper's Quarters Museum. Next up on the itinerary: identify plant and animal life at Wildlife Areas, stop by Peppers of Key West, stroll the grounds of Key West Cemetery, and hunt for treasures at Sunset Celebration. To see where to stay, photos, maps, and tourist information, read our Key West trip itinerary tool . Traveling by bus from Marathon to Key West takes 1.5 hours. Alternatively, you can drive. In December in Key West, expect temperatures between 30°C during the day and 25°C at night. Finish your sightseeing early on the 6th (Thu) so you can ride a ferry to Marco Island. Marco Island is a city in Collier County, Florida, United States, located on an island by the same name in the Gulf of Mexico off the coast of Southwest Florida. Start off your visit on the 7th (Fri): get some thrills on the water with a speed boat tour, don't miss a visit to Marco Island Center for the Arts, and then take a tour by water with Boat Tours & Water Sports. Get ready for a full day of sightseeing on the 8th (Sat): stroll through South Marco Beach, take a memorable tour with Tours, and then identify plant and animal life at Capri Paddlecraft Park. To see traveler tips and more tourist information, read our Marco Island trip builder website . You can ride a ferry from Key West to Marco Island in 2.5 hours. Alternatively, you can drive. Traveling from Key West in December, Marco Island is a bit cooler at night with lows of 19°C. Wrap up your sightseeing on the 8th (Sat) early enough to drive to Naples. Naples is a city in Collier County, Florida, United States. Kick off your visit on the 9th (Sun): revel in the low prices at Miromar Outlets and then wander the streets of Fifth Avenue South. Get ready for a full day of sightseeing on the 10th (Mon): enjoy the sand and surf at Barefoot Beach Preserve and then tour the pleasant surroundings at Lowdermilk Beach. Before you visit Naples, use our trip planner to discover what you can do and see there. Naples is just a stone's throw from Marco Island. In December, daily temperatures in Naples can reach 31°C, while at night they dip to 20°C. 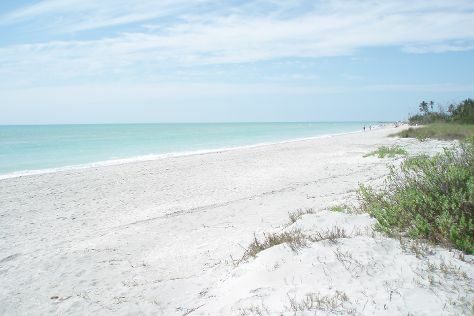 Finish up your sightseeing early on the 10th (Mon) so you can go by car to Sanibel Island. Take a trip to Sanibel Island if you like pretty sunsets and luxurious resorts. On the 11th (Tue), buy something for everyone on your list at Periwinkle Place, then stop by Adventures In Paradise Outfitters, then identify plant and animal life at In The Garden, and finally kick back and relax at Bowman's Beach. Get ready for a full day of sightseeing on the 12th (Wed): kick back and relax at Fort Myers Beach and then enjoy the sand and surf at Captiva Beach. For maps, more things to do, and tourist information, use the Sanibel Island trip planner . Drive from Naples to Sanibel Island in 1.5 hours. In December, daytime highs in Sanibel Island are 31°C, while nighttime lows are 19°C. Wrap up your sightseeing on the 12th (Wed) early enough to drive to St. Augustine. SAINT AUGUSTINE | PONTE VEDRA on Florida's Historic Coast The Nation's oldest city (est. Start off your visit on the 13th (Thu): don't miss a visit to St. George Street, stop by Faux Paws, then admire all the interesting features of Flagler College, and finally tour the pleasant surroundings at St. Augustine Beach. Get ready for a full day of sightseeing on the 14th (Fri): explore the wealth of natural beauty at Fort Matanzas National Monument. For photos, reviews, where to stay, and other tourist information, read our St. Augustine day trip planner . Traveling by car from Sanibel Island to St. Augustine takes 6 hours. Alternatively, you can do a combination of taxi, bus, flight, and car; or do a combination of taxi, flight, train, and bus. Prepare for slightly colder weather when traveling from Sanibel Island in December: high temperatures in St. Augustine hover around 24°C and lows are around 15°C. Finish your sightseeing early on the 14th (Fri) so you can drive to Orlando. 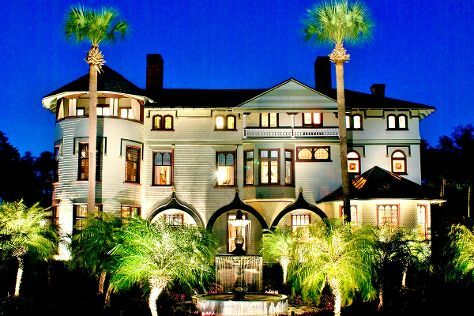 Step off the beaten path and head to Stetson Mansion and Cocoa Beach. Shop till you drop at Orlando Premium Outlets - Vineland Avenue and World of Disney. Step out of Orlando to go to Ponce Inlet and see Ponce de Leon Inlet Lighthouse & Museum, which is approximately 1h 20 min away. Next up on the itinerary: make a trip to International Drive and buy something for everyone on your list at The Florida Mall. For maps, reviews, other places to visit, and other tourist information, go to the Orlando trip builder . You can drive from St. Augustine to Orlando in 2 hours. Another option is to take a bus. Expect a bit warmer weather when traveling from St. Augustine in December: highs in Orlando hover around 29°C, while lows dip to 17°C. Finish your sightseeing early on the 17th (Mon) so you can travel back home.